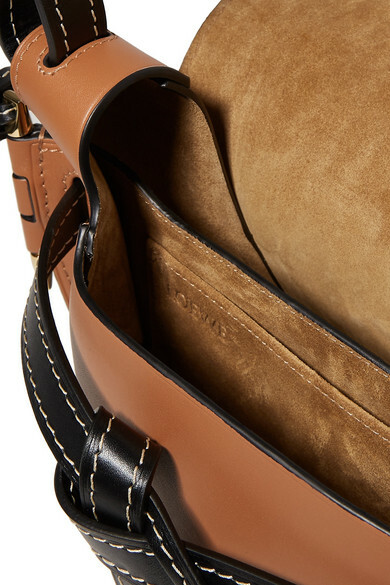 Although it only debuted a year ago, Loewe's 'Gate' bag is considered one of the brand's star players - it's been spotted on the arms of countless bloggers and fashion editors. 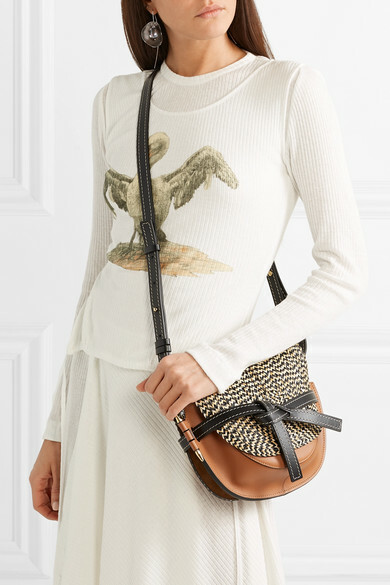 This small version has been expertly crafted from panels of leather at the label's atelier in Madrid and is updated with an intricately woven raffia front flap. 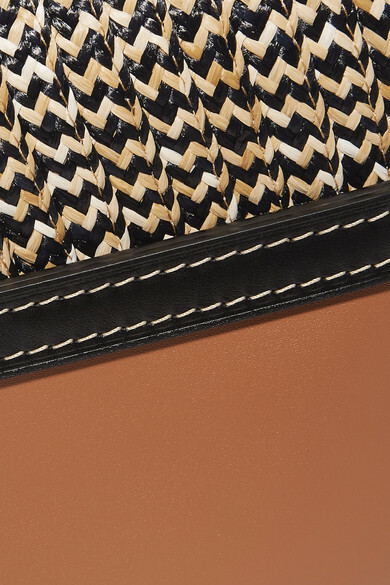 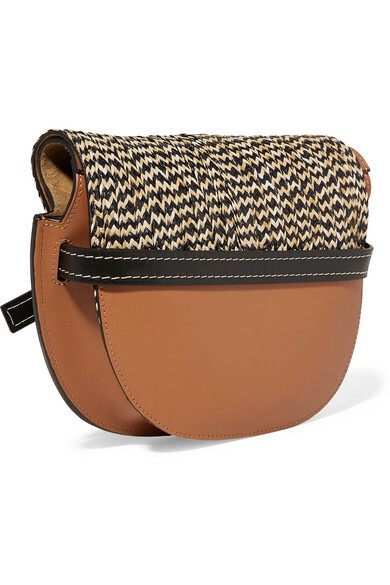 Slip your hand through the knotted strap to carry it as a clutch. 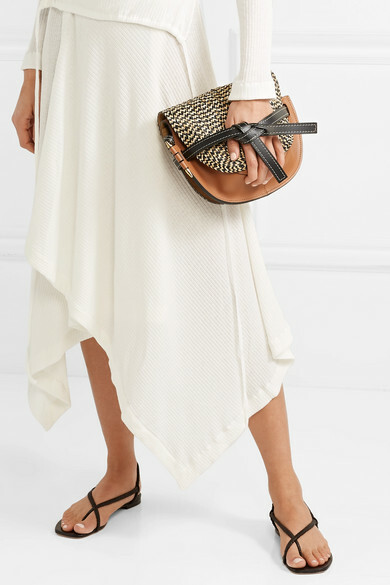 Shown here with: Loewe Dress, Rosetta Getty Sandals, Closer By Wwake Earrings.